English language proficiency is documented by either the admissions interview or receipt of prior education documentation. English proficiency may be measured using the English Proficiency Test by Transparent Language when no prior education documentation is available. In addition, the transferability of credits you earn at the Ojai School of Canine Massage is at the complete discretion of an institution to which you may seek to transfer. 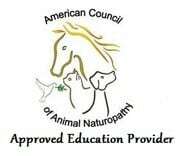 Acceptance of the certificate you earn in our 200-hour Small Animal massage program or our 200-hour Small Animal distance study massage program is also at the complete discretion of the institution to which you may seek to transfer. If the certificate that you earn at this institution is not accepted at the institution to which you seek to transfer, you may be required to repeat some, or all, of your coursework at that institution. For this reason, you should make certain that your attendance at this institution will meet your educational goals. This may include contacting an institution to which you may seek to transfer, after attending the Ojai School of Canine Massage, to determine if your credits or certificate will transfer. 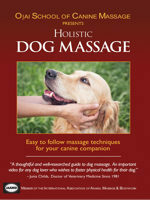 The Ojai School of Canine Massage maintains an online library for its students. Resources are accessible online. Our office is open seven days a week between 9am and 7pm. The Office Coordinator will be happy to answer any questions you may have. New Year’s Day, Fourth of July, Memorial Day, Thanksgiving or Christmas Day. The Ojai School of Canine Massage does not discriminate in regard to race, gender, handicap, age, ethnicity, religion, sexual orientation or national origin. 3. Any student missing four successive, or five total, days of classes without adequate and legitimate reason or without an approved leave of absence will be excused from the course. -Student Support designed to assist students in their educational and accommodation needs prior to, during, and following their enrollment in a course. All students taking the onsite course, in full, will receive the online course (lessons 1-13) at no additional tuition cost. The online course material is included in the onsite tuition cost, with payment due prior to receiving any online course material. 1. Unexplained or unauthorized absence from four successive, or five total, days of class. Please see Leave-of-Absence Policies above.